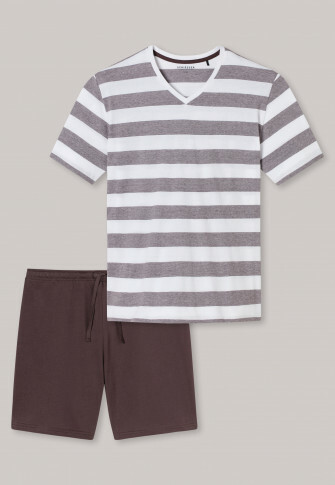 These short men's pajamas combine a sporty look with maximum comfort. 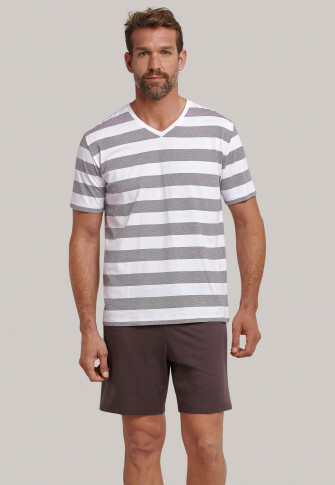 Red-brown and white block stripes make this v-neck t-shirt a fashionable eye-catcher, which is visually paired with the finely striped red-brown shorts. A drawstring at the waistband and the back pocket complete the masculine look. A comfortable two-piece set made of 100% soft cotton.